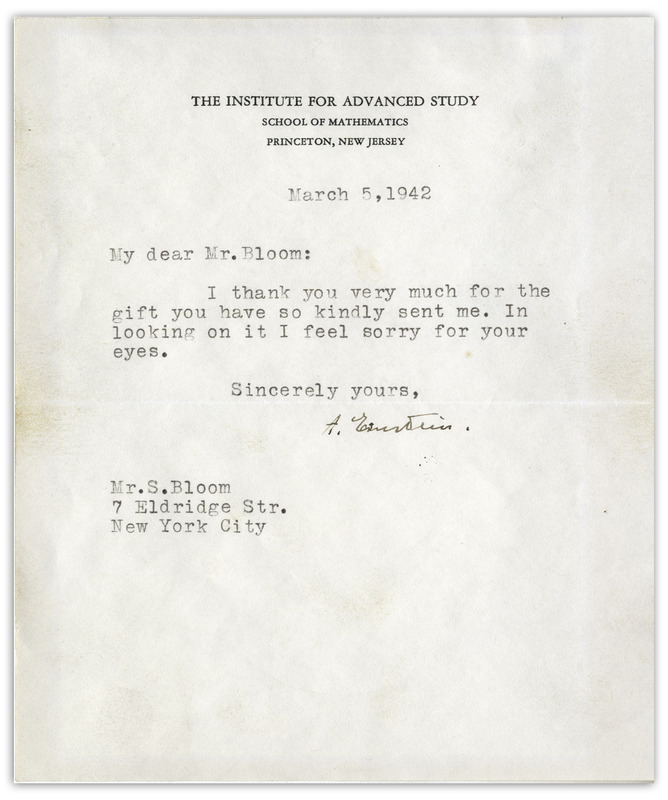 Albert Einstein typed letter signed, dated 5 March 1942 on Princeton's ''The Institute for Advanced Study'' letterhead. Einstein writes to an S. Bloom, thanking him for a gift, with an intriguing comment, ''In looking on it I feel sorry for your eyes...[signed] A. 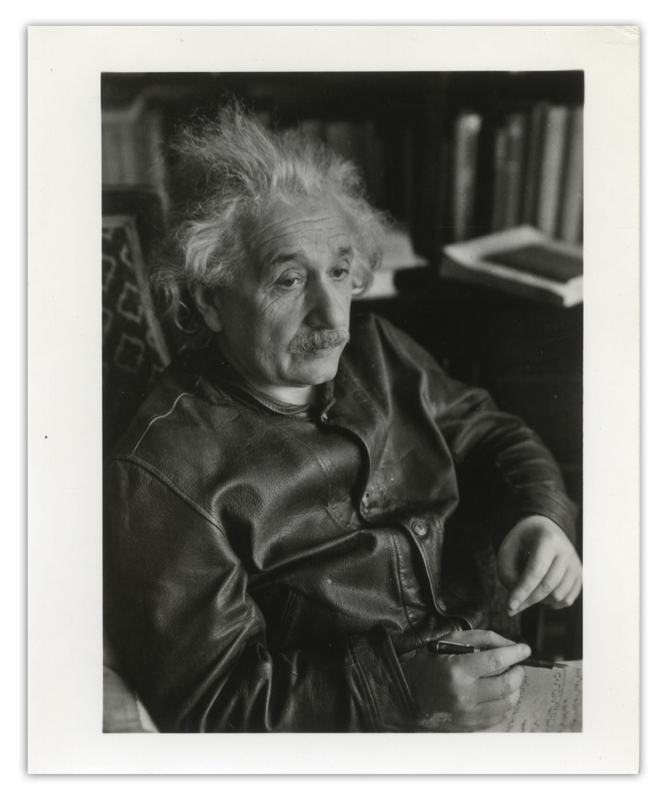 Einstein.'' 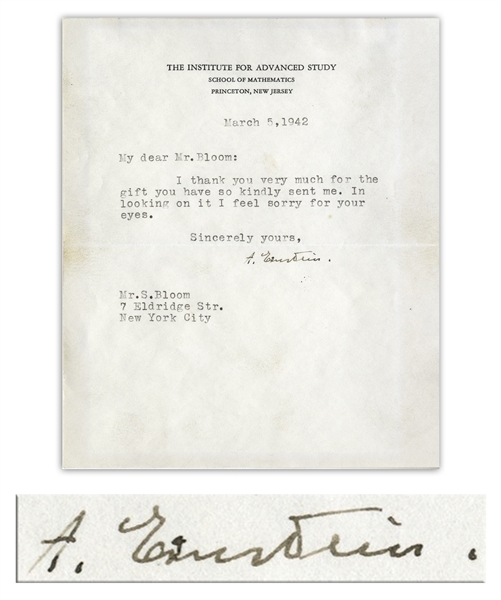 Letter measures 5.5'' x 6.5'', accompanied by glossy photo of Einstein measuring 4'' x 5''. 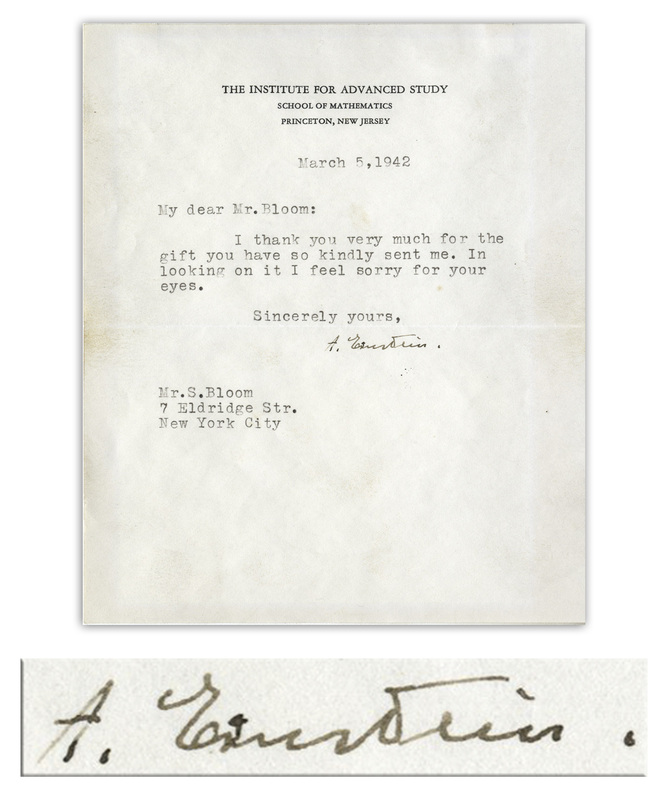 Fold to letter and two small pieces of mounting tape to verso. Near fine condition.